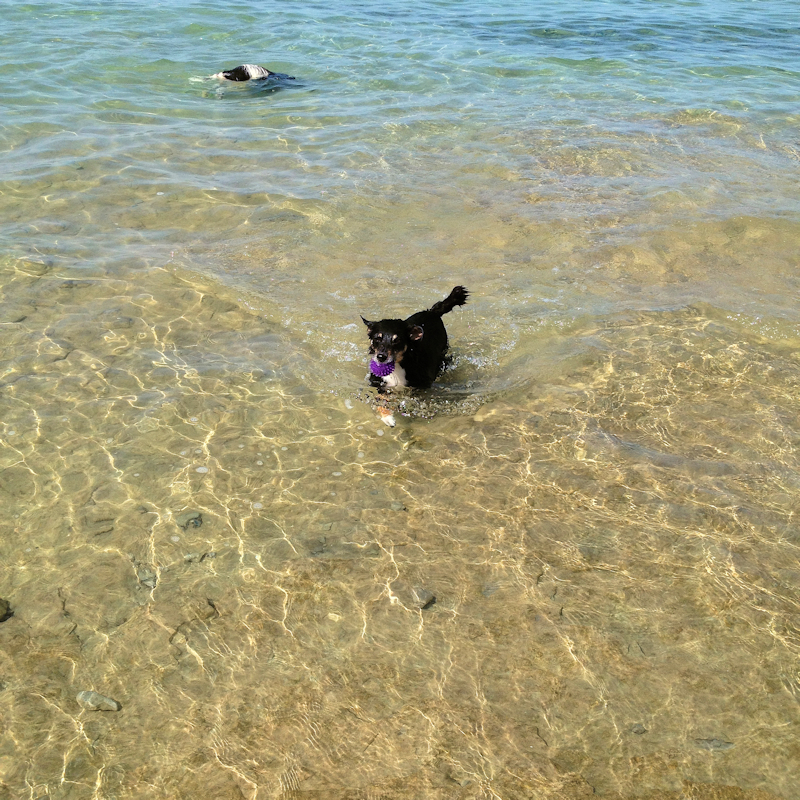 This post has already been read 21330 times! For the past 25 years, I have had a mysterious page in Latin, held in a cheap picture frame, and stored in a closet for many years. It’s a two-sided page from a book, printed in black and red letters. I bought it at a used-book store in Toronto back when I lived there and frequented such stores. I rediscovered it last week when cleaning out my workroom to create a ukulele space. The page is roughly 21 x 14 inches (53 x 35 cm) and in very good condition, for its age. It’s also quite beautiful, especially to anyone like me who is interested in the history of printing. 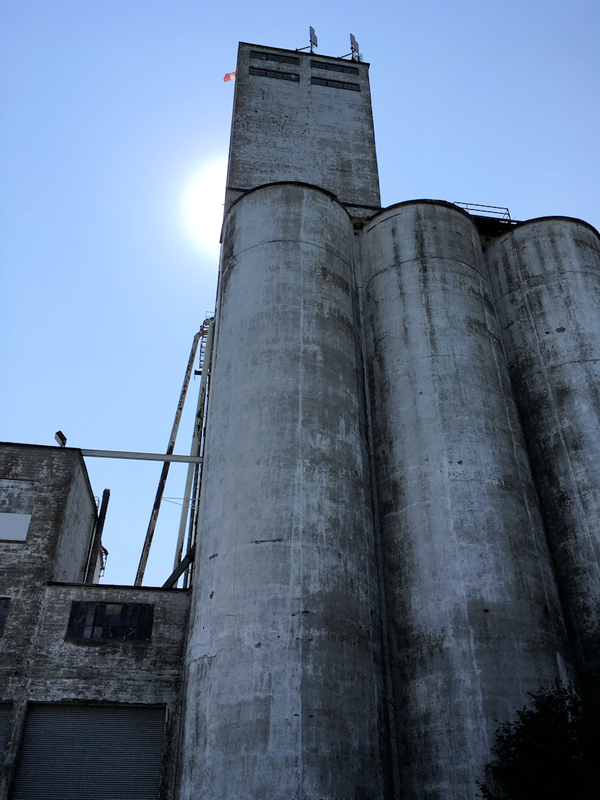 I’ve taken some photos today, and posted them here. 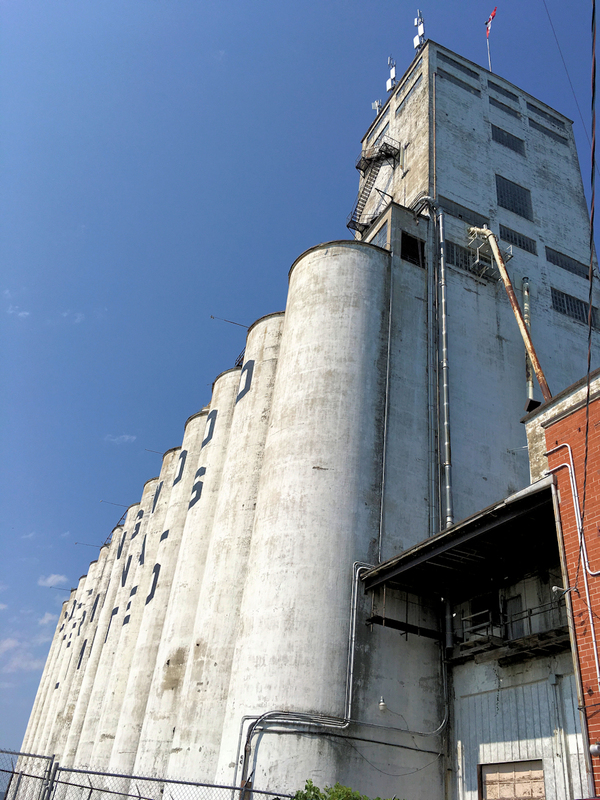 Click on the images for a link to a larger picture. The paper looks yellow in the photos, but that’s the bad lighting in my room: it’s really a creamy white. Today I decided to do some research into it and learn more about this page. Is it authentic? if so, where did it come from and what does it contain? And what was its purpose? 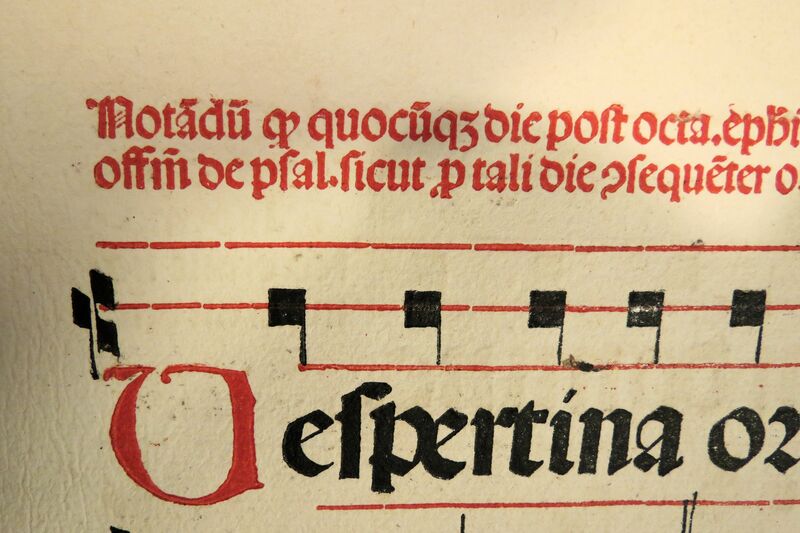 Which appears to say it is a page cut from an “antiphonarium” (or antiphonary) from Venice, dated from 1503. That’s 510 years ago, a decade before Machiavelli wrote his famous work, The Prince, in nearby Florence. Venice was one of the first Italian cities to have a printing press, starting in 1469, barely 20 years after Gutenberg’s press was built in Mainz. It became on of the Renaissance’s hottest spots for printing and had many printshops – and professional editors. More on that, below. In my research, I found a blogger who also bought one of these pages in Toronto around the same time I did, probably from the same store: Byzantine Calvinist. His post and photos date from 2006, however. I haven’t identified the exact content of his page, but it seems to be the Order of the Mass or perhaps from the Epiphany service. Romane ecclesie copletu. . . .
Another page from what seems the same book showed up on National Book Auctions, lot 6460, in late 2012. “Sinning daily, and not repenting, the fear of death disturbs me. Because there is no redemption in Hell, have mercy on me, O God, and save me. Peccantem me quotidie, et non me poenitentem, timor mortis conturbat me: Quia in inferno nulla est redemptio, miserere mei Deus, et salva me. V: Deus in nomine tuo salvum me fac, et in virtute tua libera me. Quia in inferno nulla est redemptio, miserere mei Deus, et salva me. Ah, had I known at the time, I might have bid on it. 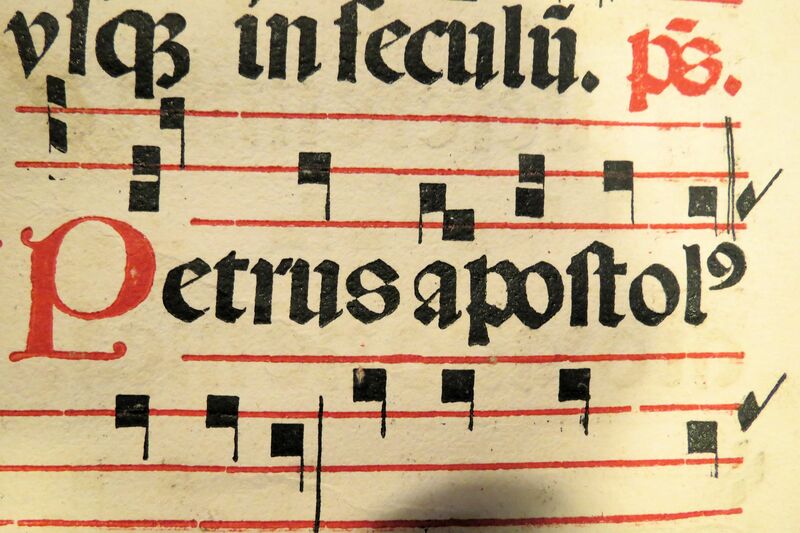 But search for “antiphonary” on eBay and you’ll see a few others; the compete ones are very expensive! The page seems to be vellum – it’s clearly animal skin and very well made – and has the appearance of being very old but not terribly brittle, as would be paper. 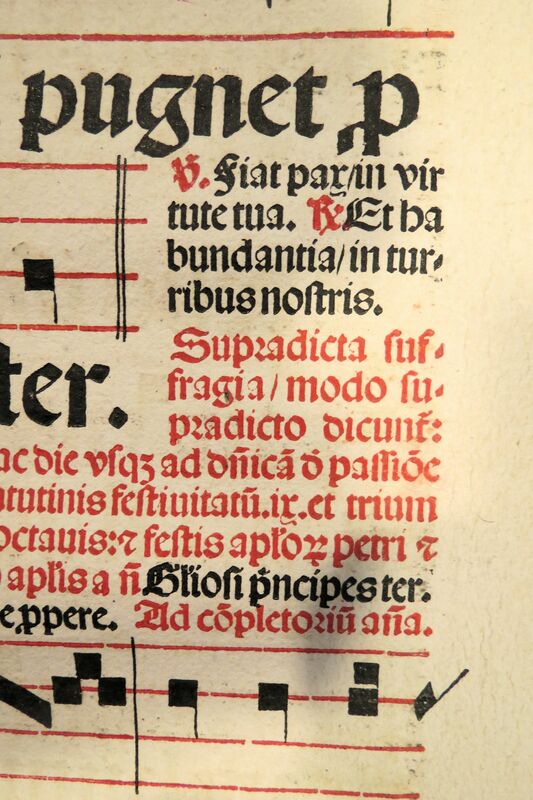 The printing looks old (how many blackletter pages do you see today? ), and the imperfections suggest a less-than-exact process for both copying the text and reproducing it. I have found places where type does not align, and letters are either missing or only partially reproduced. 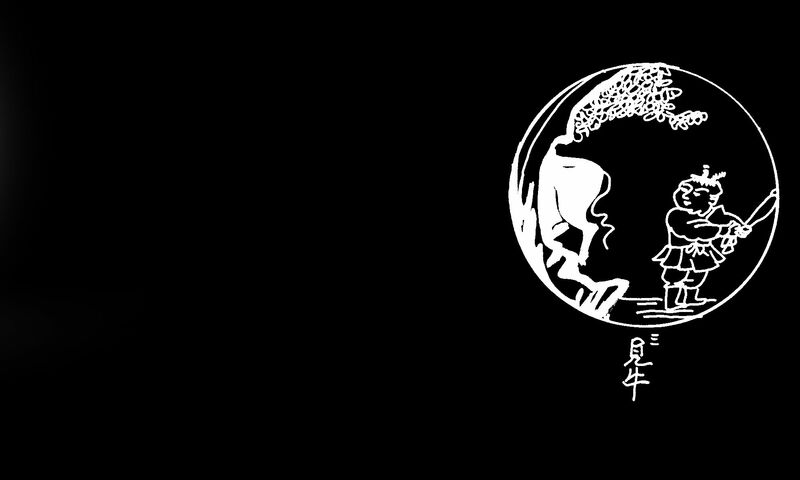 The printing, done in red and black inks, almost looks like hand-block printing, but there’s too much type for that, and it’s too precise for anything but a mechanical process. 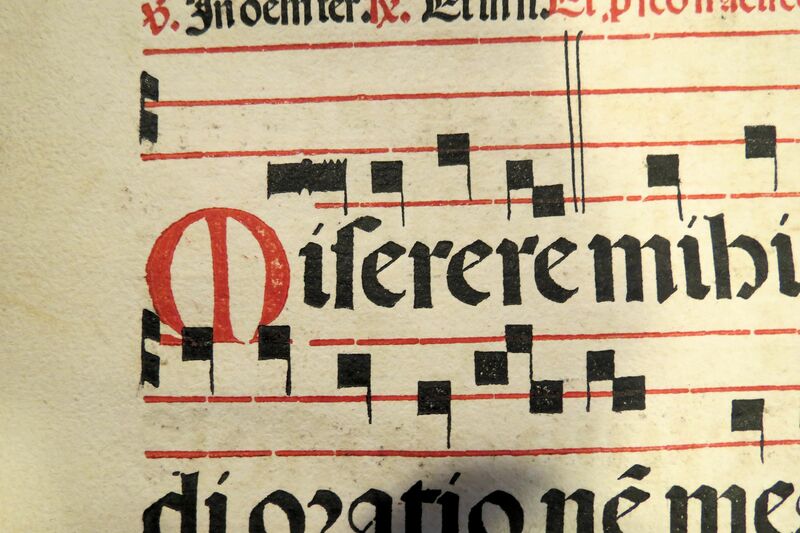 This sort of work presented two challenges to the printer: to print in two colours and to print musical notation. 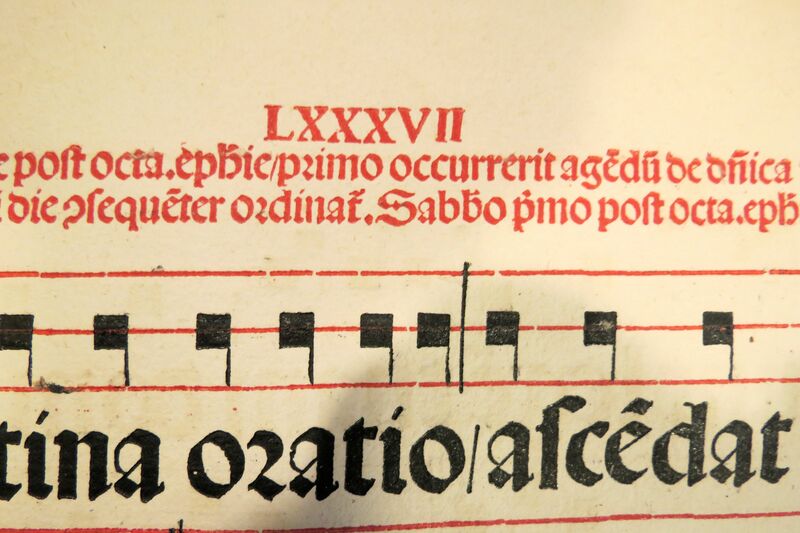 By the date of this leaf, 1524, Venetian printers could do both these things, though music printing was a slow business and therefore expensive. 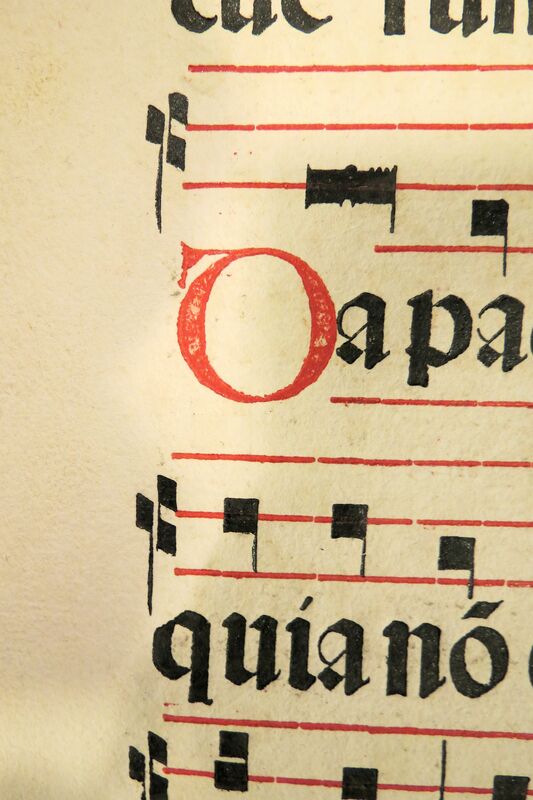 The use of red and black text in service books, and black notes on red staves in the music, was a longstanding convention in the manuscript era, and printers followed suit. To print in two colours it was necessary for each sheet of paper to go into the press twice, once to receive the red content and again for the black. 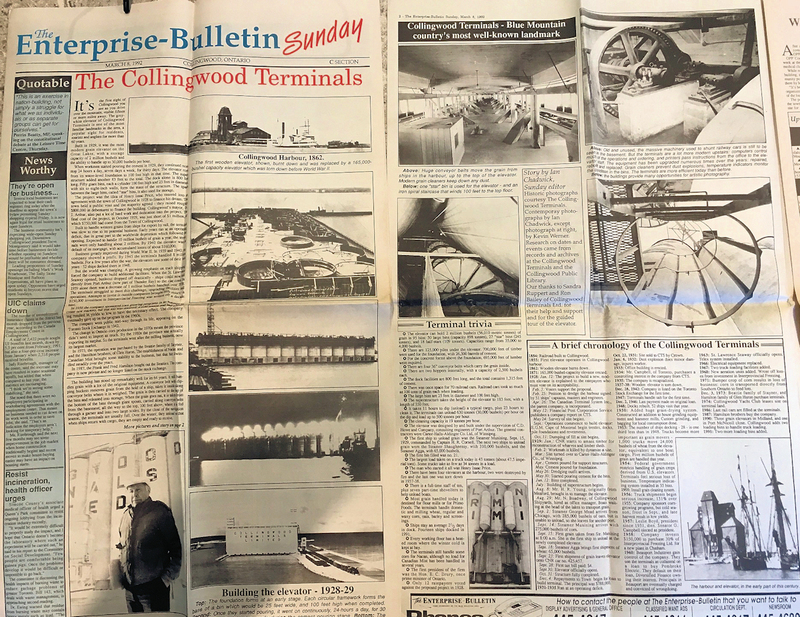 Type for the whole page was carefully set up and by the use of a sort of stencil that fitted in front of each sheet as it was printed, only the red items would be printed. When all the sheets had been printed in red, the stencil was changed and minor adjustments made to the type itself before all the sheets were fed in again carefully aligned to receive their black content in the right places. Not to mention the complexity of actually designing then creating a set of type in multiple sizes. 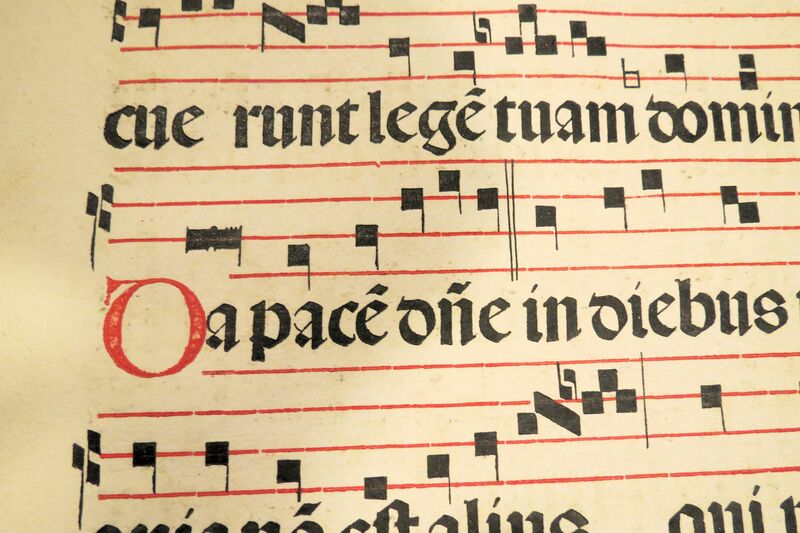 Here’s a site with many pages from a similar antiphonary, published in Venice in 1499-1500. So what I learned is that I have a page from a Renaissance antiphony, printed in the independent city-state of Venice. The word Antiphonary had in the earlier Middle Ages sometimes a more general, sometimes a more restricted meaning. In its present meaning it has also been variously and insufficiently defined as a “Collection of antiphons in the notation of Plain Chant”, and as a liturgical book containing the antiphons “and other chants”. 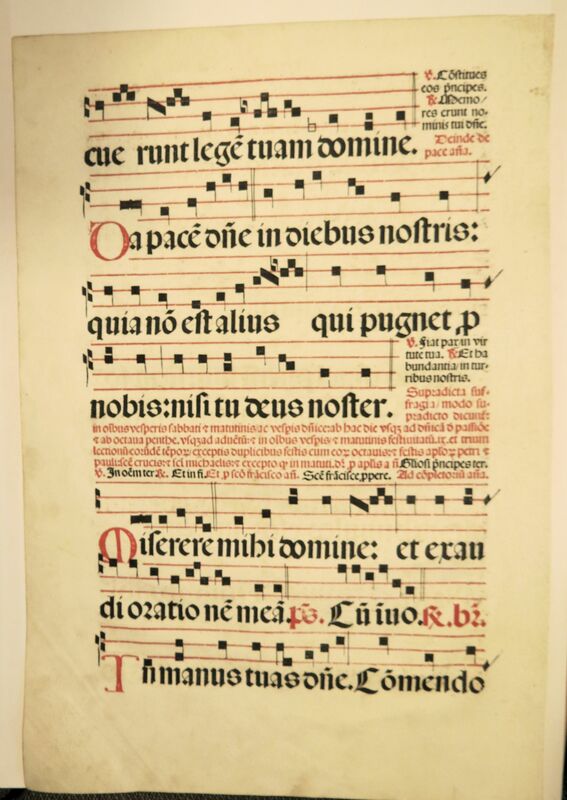 In its present complete form it contains, in plain-chant notation, the music of all the sung portions of the Roman Breviary immediately placed with the texts, with the indications of the manner of singing such portions as have a common melody (such as versicles and responses, the Psalms, the Lessons, the Chapters). 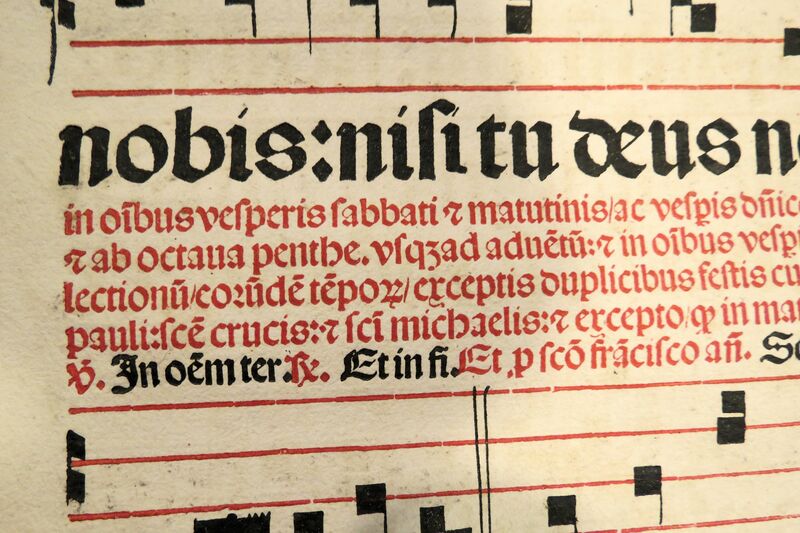 But the Lessons of Matins (First Nocturn) in the triduum of Holy Week, styled “Lamentations”, have a melody proper to themselves, which is not therefore merely indicated but is placed immediately with the texts of the Lessons. The word Antiphony literally means “Opposite Sounds” and is a musical term for sounds answering each other. 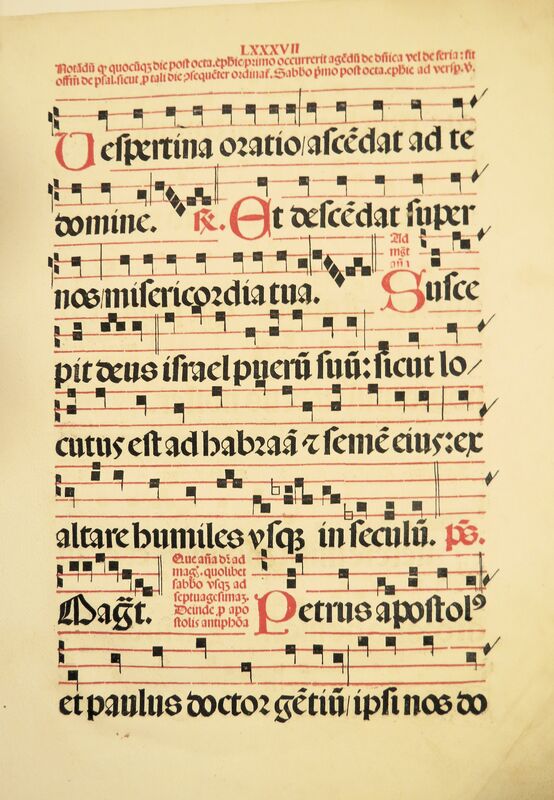 The page I own holds such plainsong – more popularly known as Gregorian chant, although there’s nothing to say this is a book of particularly Gregorian pieces (ironically, the bestselling album of Gregorian music, Chant, was made by Benedictine monks…). 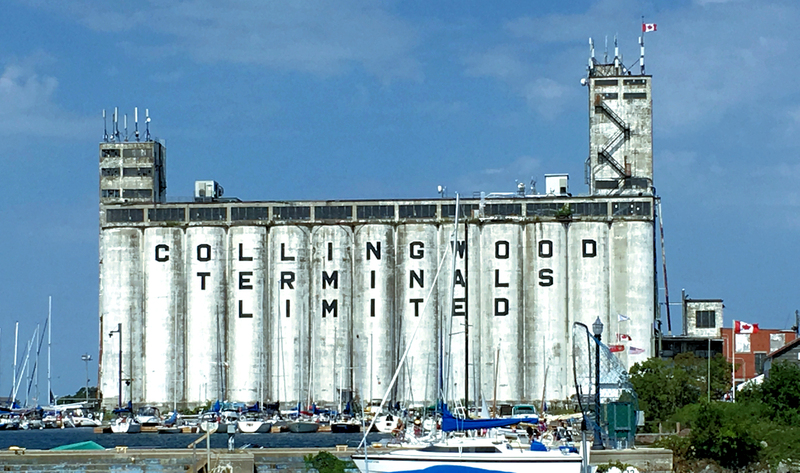 I can read it somewhat – or at least make out the Latin words if not always translate them (although the Gothic type sometimes makes it difficult to make out words, and I have to keep in mid the u for v and the long s). However, on my page I see no reference to incense, so perhaps the ritual is different or has changed. This seems to be similar to wording from a “sufferage” found in a 1599 Book of Hours. I can’t read the music as printed in this format (I read modern music, but very slowly; I haven’t practiced it much). 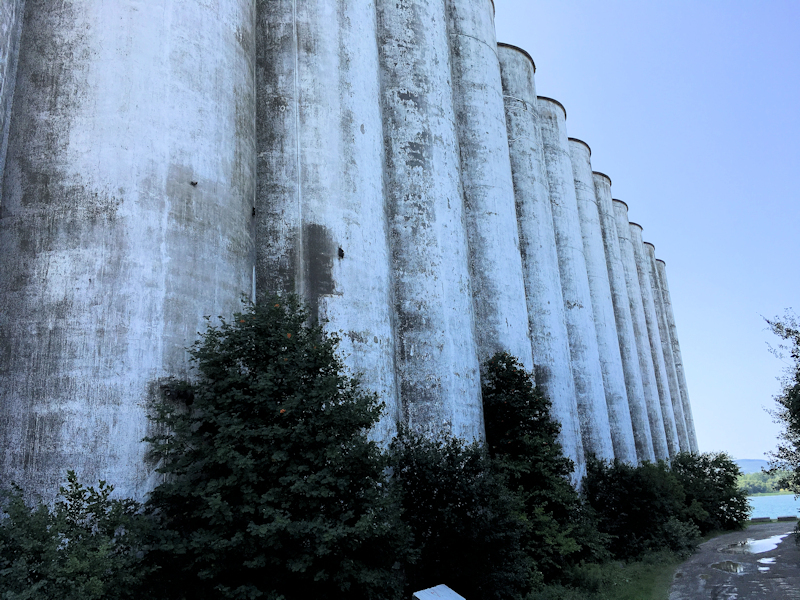 Plainsong is very different from our own musical formatting and takes some additional training to be able to read it. Here are some notes about how it was written. 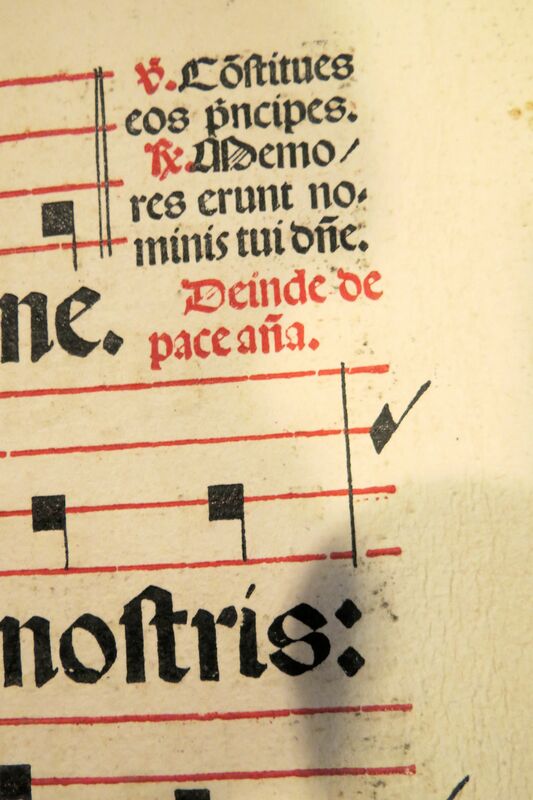 The “Idiot’s Guide to Square Notes” – called “neumes” – has some more helpful information. And here’s a piece on plainchant, another name for the style. 1503 was the year the war between the Ottoman Empire and Venice ended, when Venice formally recognized the Ottoman gains in southeastern Europe. It was the year Pope Julius II – “The Fearsome Pope”- was elected to the papacy. 1503 is the year when Canterbury Cathedral was finished in England after 433 years of construction, when Mariotto Albertinelli painted his masterpiece, The Visitation of the Virgin, when Hieronymus Bosch painted his triptych, The Garden of Earthly Delights and Leonardo da Vinci started work on the Mona Lisa. It was the year the 12-year-old Henry Tudor – the future Henry VIII – was made Prince of Wales. Michelangelo began work on his statue of David. And it was the year a book of plainsong was printed in Venice, a page of which would one day end up in my closet, some 4,500 miles and five centuries later. However, it is much more likely to have come from the presses of one of his competitors such as Petrus Liechtenstein or Johann Emerich. The latter was known for printing liturgical works, including an Antiphonarium Romane in 1503-04, which seemed like a good candidate. There were many books of the same or similar name published in that era. I am pretty sure, however, my page comes from this 1503 edition of the Antiphonarium secundum morem sancte Romane ecclesie (completum continens dominicale, sanctuarium, commune et hymnarium et quedam officia noua … Correctum per fratrem Franciscum de Brugis ordinis minorum de obseruantia): www.dlib.si/details/URN:NBN:SI:DOC-16YPQTYJ – pages 177 and 178. Seems it was published by Luca Antonio Giunta and printed by Emerich. The date is sometimes given as 1504. See Google Books: Italian Music Incunabula: Printers and Type, by Mary Kay Duggan, Mary Kay Conyers Duggan, page 130. ** I have the Chant album, or had it not long ago, along with several other CDs of plainsong and liturgical chants, from both the Western and the Eastern Orthodox traditions. Now I feel compelled to dig through the CD collection and find them to see if I have this piece on one. This time it’s a Machiavellian mis-quote.